British Columbia, especially Greater Vancouver, is known for people using radical and even destructive methods to make their statement heard on an issue. One such person who’s lesser known in Grant Hadwin who cut down a beloved tree on the Queen Charlotte Islands in 1997. 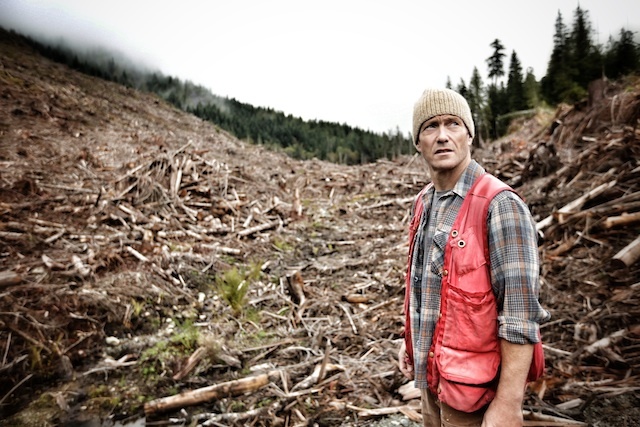 The documentary Hadwin’s Judgement traces Hadwin’s path from logger to radical to his mysterious disappearance. The film is almost like a biography of Grant Hadwin and the moments in his life that changed him forever. Grant Hadwin was born in West Vancouver. He came from a logging family and eventually found himself working on the Queen Charlotte Islands. However he soon developed an anger when he saw how much forest was being cut down from the island and how fast with the modern cutting methods. He writes letters of complaints to businesses. He even tries to start his own business which makes products out of decayed wood or wood long cut down but it doesn’t succeed. Doug Chapman plays Grant Hadwin in re-enactments with no dialogue but says it all with his mind. The deforestation of the area along with his mental instability takes his toll on him and he cuts down the sacred tree of the island– the 1000 year-old Kiidk’yaas (The Golden Spruce)— to send his message. He awaited trial with many a person angry at him. However Grant pursues a kayaking trip up the Boeing Strait. He is never seen again although his broken kayak, letter in lamination and tools have been found intact. He has still never been found dead or alive. The film is mostly a documentary featuring people who mostly knew Grant during his lifetime. 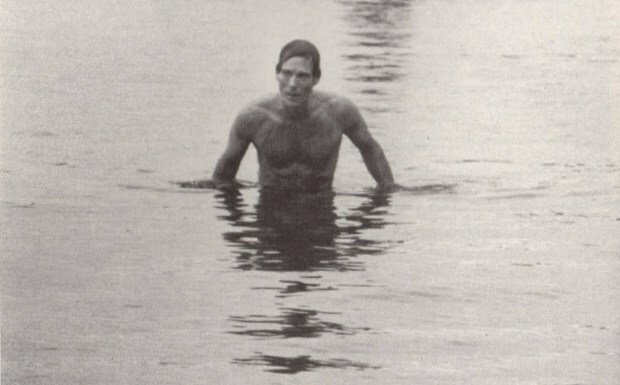 It features co-workers to friends to a local photographer who photographed him swimming just before his disappearance to John Vaillant who wrote an award-winning book on him. It also interviews people of the Haida Gwaii who knew the tree. The Haida Gwaii consider trees to be sacred so it’s no wonder the chopping of that tree would hurt them deeply. However the film doesn’t just present people interviewed. It also provides people first-hand knowledge of the Haida Gwaii people, their legends and their beliefs. It provides insight to Grant’s feelings around the time and includes narration of the letters he wrote in his protests. It even includes moments in Grant’s life re-enacted by actor Doug Chapman playing Grant. Doug never utters a word of dialogue in his acting but it’s like you’re reading Grant’s mind just with the looks on his face. You could see why Grant would lose his patience with what was happening and do what he did. It still remains a question. Was it Grant’s attitude to the deforestation of the area? Or was it a mental imbalance? Or both? Even I myself wondered if he valued trees so much why would he cut the sacred Golden Spruce down? I later assumed Grant did it possibly to say to all those logging companies: “You want wood so bad? Here’s your wood, bastards!” That’s my belief to why he did it. People snap. Despite the storytelling, narration and re-enacting of Grant’s moments, the best attribute of the documentary has to be the cinematography. Right from the start, you see images of the rain forest, an aerial view of Queen Charlotte Island and a panoramic shot of the forest. Already images of beauty that tell what this island is all about and why the island’s natural features are important. It’s not just beautiful images like those that make the film but the uglier images too. The film includes footage of the tree cutting mechanisms through all angles. You can see just how they can cut down a whole tree in seconds. You can see why through such mechanisms looms the threat of deforestation. So much cutting in so little time. The film also shows the ugly aftermaths of all the trees cut down. There’s one panoramic view that not only shows a wide forest but of a cut-down area. That’s one of the many eyesores. Other eyesores include closer shots of land that used to be forests, images of piles of dry dead wood and the biggest of all: the Golden Spruce down on the ground with its leaves soaking in the river. Even single images like that of a freighter full of logs tells the story of the land and why Grant Hadwin was compelled to make such a judgement. Shots that included Grant also provided for the storytelling including the site of his broken kayak. Sasha Snow did a great job in creating a documentary that gives people’s opinions of Grant through all angles and even re-enacts some of his key moments. Sasha not only includes those that know him but the local Haida Gwaii and author Vaillant. Sasha made a lot of smart choices in telling the story such as having an actor act out Grant’s moments instead of showing photographs. In fact we only see one photograph of Grant in the film right at the very end. Hadwin’s Judgement is more than a documentary. It takes you inside the person, the land, the people of the land and the economic pressures of the times. I don’t know if the film completely supports Hadwin’s decision but it provides the reasons why he did it.